In June of this year planning commenced on a 6 day fall vacation. We had initially planned to fly from Louisville, KY to Orlando, FL, but Southwest had a special sale for flights into San Diego for the same price. Since we had never been to California we decided that a California Vacation would be the best choice for us. I purchased the plane tickets using points earned from signing up for Southwest Airlines. I booked a flight for daughter and me, which cost about 36,000 points total. At the time of booking I had only earned 105,000 Southwest points and had not yet earned my “Companion Pass“. Once I earned the additional 5,000 points to reach 110,000 I earned my companion pass and simply clicked on my flight to “Add a Companion”. At this point my wife was added to the itinerary. Total out of pocket for our cross country flight was $15 round trip. I knew we would need a car to get around California. I wanted to rent a vehicle that would be big enough to accommodate our car seats and luggage. With these options in mind we decided to get an SUV, although my wife was really pushing for a convertible. I searched online coupon codes and used CarRentalSavers.com . I found this website to be the best because it included the best coupon codes. I looked at many different sites and found this one to be at least $30 cheaper for the week. Other sites may have been comparable or even cheaper if we had a normal rental, but ours was one way. This meant we picked up the car in San Diego and dropped off our car in Santa Ana as we flew out of John Wayne Airport. The car included unlimited miles and was a very nice car. We had no trouble at Alamo and even used the kiosk when picking up the car, which allowed us to forgo getting hassled about all of the extra insurance and other upsells. Obviously we needed to find a place to stay each night of the trip. Since we were staying 3 days in San Diego, 1 day in Anaheim, 1 day in LA and 1 night near our departing airport a condo or house were out of the question. 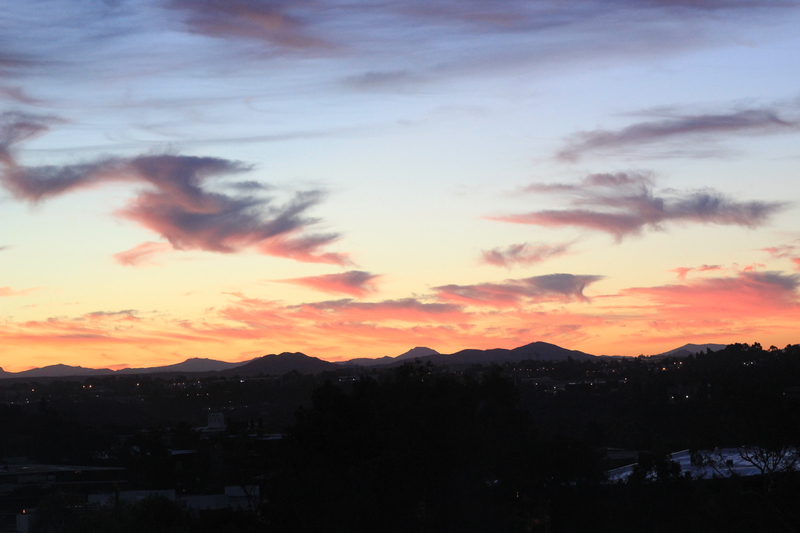 Finding an area in San Diego for our home base was not a problem at all. We stayed near La Jolla and Torrey Pines as it provided better prices, access to La Jolla and was only a 20 minuted drive back to San DIego Zoo. We knew we needed a hotel close to Disneyland in Anaheim so that was not much of a problem either. Our day in LA proved to be a bit more difficult because the city is so big and traffic is not great to drive through. I ended up booking a place that was vouched for by my cousin. It was near Burbank, supposedly close to Universal Studios, but actually ended up closer to North Hollywood. The last night we stayed in Huntington Beach which was a quick 15 minute drive back to the airport. 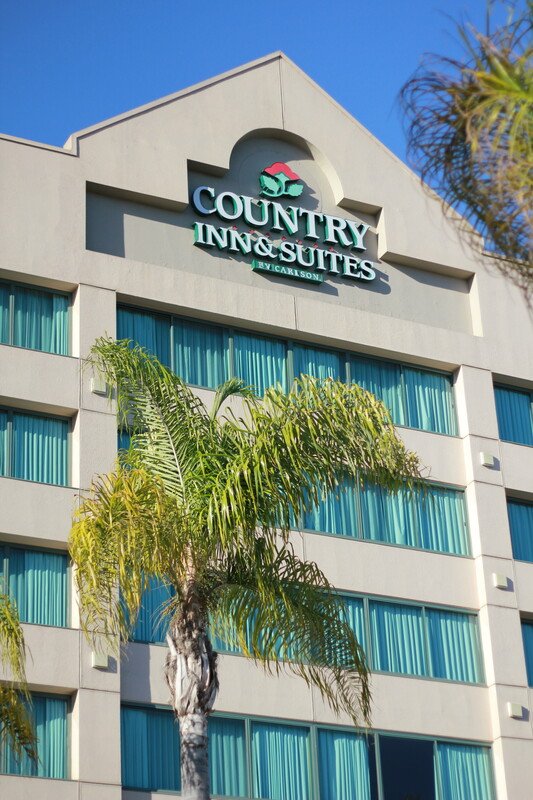 We stayed at a Country Inn and Suites in San Diego which I highly recommend. It was in a beautiful location with a nice view of the mountains out our window every morning. They also had an excellent breakfast which really worked well to save us money on food as one meal was included in the price of our stay. Most travel blogs emphasize staying in really expensive hotels. One of my problems with sites such as Priceline is that their rating system puts no value on free breakfast. I strongly disagree with this valuation because if we were to go out for breakfast and get eggs, waffles, sausage, juice, yogurt and milk it would end up costing us at least $20. Sure we could go to a fast food place and the 4 of us could eat for less, but it would be far less substantial. We ate breakfast in our hotel 5 out of 6 days. The last day we had to be at the airport before breakfast was served. We ended up buying breakfast at Carl’s Jr. and it cost $9 and that was just for my wife and daughter. My daughter was complaining that she was hungry 2 hours later. In Anaheim, our hotel was literally across the street from Disneyland. Probably 5 blocks if we walked, but since our Disneyland tickets included parking we just drove to the lot. This ended up being a great idea since by 11:00 PM Pacific Time both kids were passed out. Which would have made the extra 5 blocks perilous. I booked our room through getaroom.com which advertised a rate $20 less than booking through the hotel itself. Unfortunately they add taxes and unnamed fees which put the total at only $2 less than booking directly with the hotel. I did book through TopCashBack.com which earned me 10% cashback on the stay, which was pretty nice. The hotel was the Best Western Plus Stovall Inn, which had very nice updated rooms, but they also charged $10 for parking. The breakfast there was acceptable, but there were so many people that the staff couldn’t really keep up even with the large dining area. Our 5th night was spent in a Comfort Inn near Universal Studios. The area was in North Hollywood, which is a bit grittier than we would like. My daughter looked out the window of our room and asked, “Why would they build a hotel here with this terrible view?” The view out the window was a local mechanic shop, so we did have an excellent view of oil changes. This room was also recently updated and seemed clean. It’s not exactly a hotel I would rave about, but for the price and a place to sleep it was okay. The breakfast area was very nice and clean. They had cheese omelets, juice, sausage and typical hotel breakfast items. Our 6th night took us back south to another Comfort Inn in Huntington Beach about 10 miles from the airport. It was updated, nice and looked (and smelled) very clean on arrival. The area is also very nice just a few miles from the ocean. Many of the activities that we did on the trip were very low cost or even free. 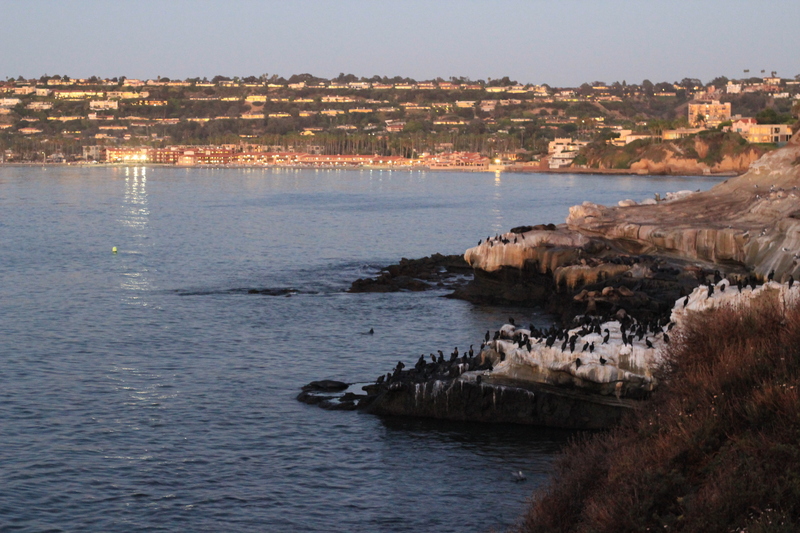 Walking along La Jolla in San Diego was not only free, but it was among our favorite parts of the trip. The seals on the beach were amazing to see and the views were breathtaking. The San Diego Zoo is how Disney would do a zoo. I know, you are thinking, Disney basically did a zoo, it’s called Animal Kingdom. Having been to both the San Diego Zoo and Animal Kingdom I believe San Diego Zoo is superior. 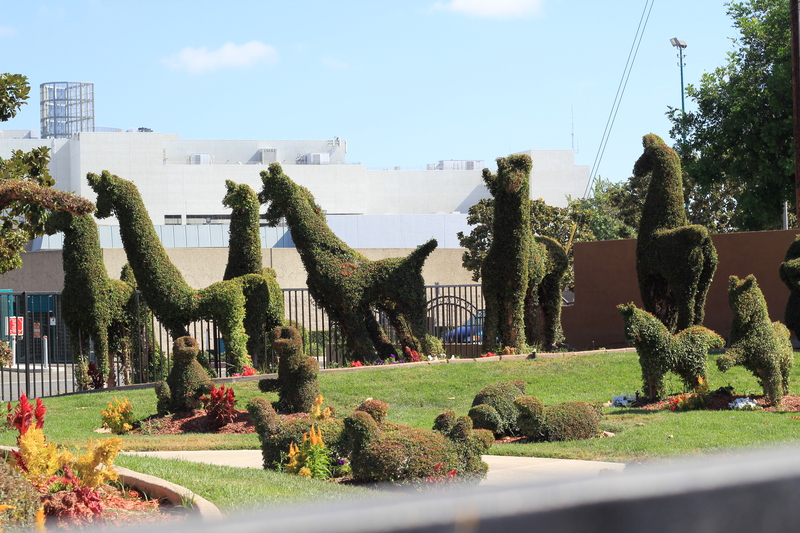 That being said, I’m sure that Animal Kingdom will be pretty great in their 97th year as well. There was something to see every step of the zoo. Whether it was an animal exhibit or just the assortment of botanicals. If you enjoy zoos it is definitely worth seeing. We also visited Torrey Pines State Reserve which offers a beach and beautiful overlooks. We paid $15 for parking and that was it. The only problem is for some reason the restrooms and water were all turned off. This is problematic when you play in the ashy sands of the Pacific and need to get back into your car. We decided to go to Disneyland on Tuesday for “Mickey’s Halloween Party”, it’s a special event that is ticketed separately from the rest of the park. 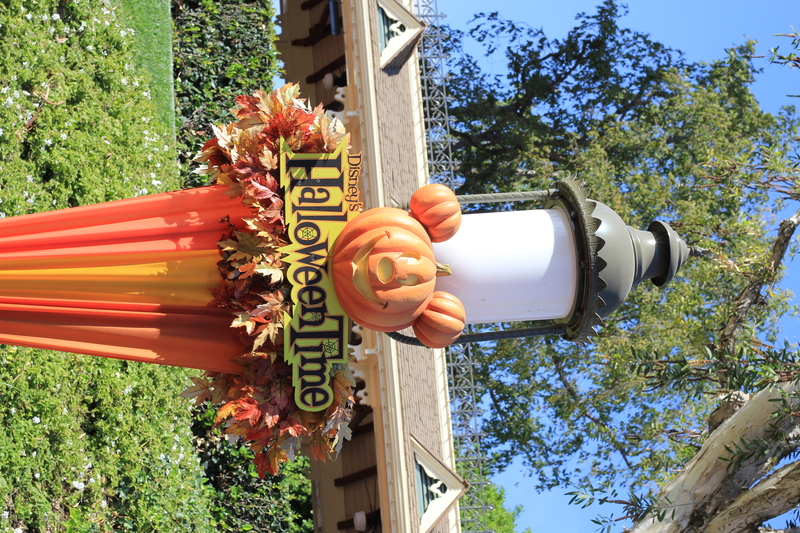 Disneyland closed on Tuesday at 6PM and Mickey’s Halloween Party took place from 6-11, but you could enter at 3. We arrived at the park at 3 and enjoyed it immensely. Instead of the normal price of admission Mickey’s Halloween Party only costs $59 per person. They only sell a certain amount of tickets, you can trick or treat throughout the park and most attractions are still open. There were characters out in full force even when we were leaving. More things for guests to do means that any one line will be shorter. In LA we went to the Getty Center, which is fantastic. It’s a billion dollar art museum that opened in 1997. The museum was free which I did not know going into it. Parking is $15, but that is definitely a bargain price even if you were going by yourself. It’s not exactly the most entertaining for small children as it is not a hands on science museum. If my wife and I had gone alone we could have spent nearly the entire day touring the massive collections, but with our kids a few hours was ample. Just seeing the building itself was worth it to me. We went to Hollywood to check out the sights and typical tourist type things. We paid $7 to park at the Hollywood and Highlands Center. It is a very ornate shopping center built around its view of “The Hollywood Sign”. My daughter wanted to see Hollywood, hoping she would be discovered. She looked at the sign for about 30 seconds and said, “cooool” then was ready to see the next thing. We followed the Hollywood walk of fame. Saw that TCL Chinese Theater and had fun comparing our hands to the stars. My daughter was a bit disappointed because she wanted to have her footprints and handprints immortalized in the cement, but alas that will have to wait. I guess seeing Hollywood is worth the $7 parking charge, but otherwise the experience was ruined by the vendors, celebrity impersonators and people in cheap costumes hoping to hustle tourists out of money. Huntington Beach was a nice way to end our trip watching the sunset over the Pacific Ocean. They charged $15 for parking, but only $13.50 if you used a credit card. Since I was going to use a card anyway this worked out perfectly. The beach was huge over 100 yard from the parking lot to the ocean. We were also basically alone on the beach which was nice for pictures. One way we save money on a trip is to minimize our food costs. When we arrived in California we were expected to be absolutely blown away by the prices for food. I fully expected that if I went into a Subway asking for a $5 footlong they would oblige me with, “Okay sir, that’s one $5 footlong, that will be $28.75.” This was not even close to reality. The first night we went to a nice Mexican restaurant that was having huge frozen Margaritas, 5 flavors to choose from for $3 each. We ordered a margarita, beef nachos, pepsi, and 10 tacos and paid $19 plus a $6 tip. $25 is cheaper than we eat at the Mexican restaurants in Kentucky. We try to eat breakfast in our hotel which saves an immense amount of money. If we had stayed in a condo or rented a house we would have tried to prepare meals at home which would provide huge savings. Ultimately though, my wife and I value food in much the same way. I fell like food only gets so good. Meaning that a $100 meal is not 4 times better than a $25 meal. We have gone out to very expensive restaurants, but usually feel that they could not live up to expectations. We might splurge for a meal or two on vacation, but for the most part we try to keep our spending in line with what we spend on food normally. Comfort Inn Huntington Beach $61.94 Great room, very clean, did not eat breakfast (left too early). Best value. We could have done the trip for cheaper, but we would have sacrificed some things. We could have gotten a smaller car and saved a hundred dollars or so. Driving less miles or having a fuel efficient vehicle could have saved gas. We could have saved more money by only buying tickets at the zoo ($88), but I am not going to avoid spending at the cost of fun. We had also budgeted to go to Sea World, but we were enjoying San Diego too much to sacrifice a day doing that. All around there’s not too much I would change. 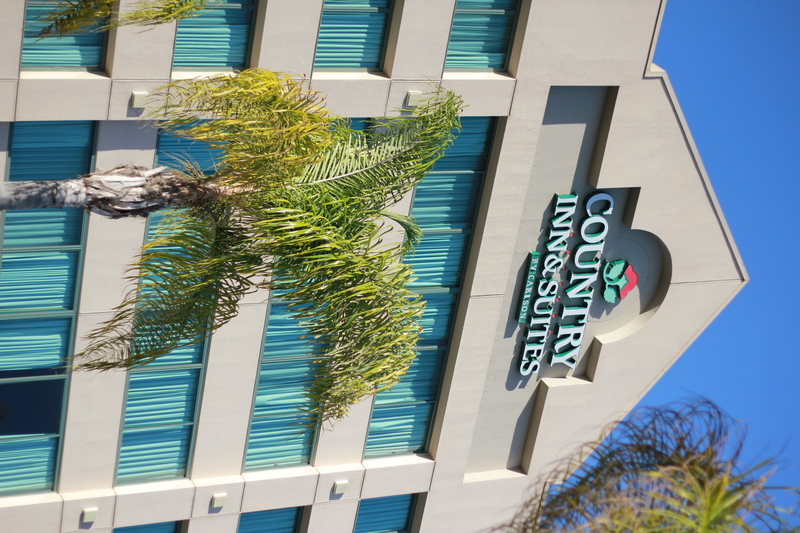 Although the Best Western and Comfort Inn were both pricier than I would like and neither was as good as the Country Inn and Suites or the Comfort Inn in Huntington Beach, both about half the price of the Best Western. 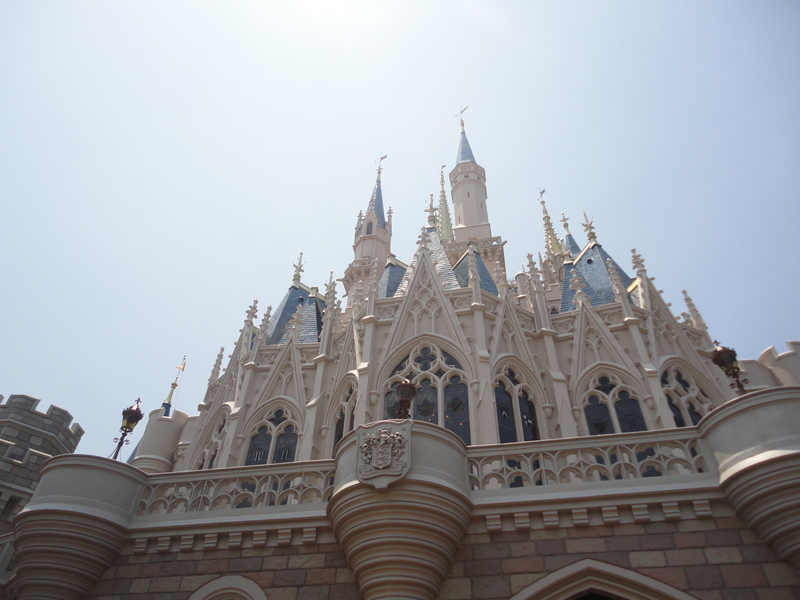 As soon as you express plans to visit Walt Disney World you will get a myriad of advice on how to have a great trip. If you follow every piece of advice you are obviously quite wealthy and I would suggest that you bring me along next time. While many of these tidbits are excellent on an unlimited budget, they are quite unproductive when planning a trip on a realistic budget and salary. My brother recently got the insider advice to stay at the “W” when visiting Washington D.C. While this advice may be excellent I would assume that a $500 per night hotel room would be pretty good. I can only assume that this local preferred the accommodations found at the “W” to what you might find at “The Lincoln Bedroom”. Keeping in mind when reading advice that every family is different and we all enjoy different things. Stating an opinion on lodging is even more divisive than most opinions. While some people might think a $20 motel is a great value another family would refuse to stay in such a place even if they were paid $20 (or $2,000) per night. As I have stated before, I feel that maximizing value based on your own valuation is most important. This also goes for time spent in planning such a trip. I enjoy putting time into the planning stage and minimizing costs while maximizing my value. Sometimes I have trouble pulling the trigger for fear of a better deal passing me. In 2011 we went to Orlando and I did all of the research online. I first looked to stay onsite because the accommodations at Disney’s lodging options are excellent. I visited my cousin staying at the Wilderness Lodge and it is gorgeous. All of the options staying on the property are fantastic. 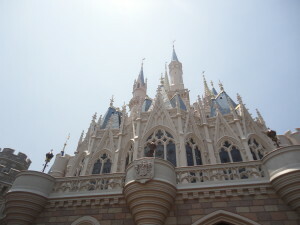 If money is no object we would stay at Disney World, in the future we will also likely stay at one of the resort options. I think that staying at the resort is much more valuable when you fly to Orlando rather than drive. Staying at a resort allows you free transportation to and from the airport, which also means no rental car is an option. I have not done this myself, but the minimal research I have done thus far this seems like a viable option. The first thing I did was to take a look at all of the hotels in the area. I found many different “deals” around the area, but it’s really hard to evaluate a property that you have never seen. One of my favorite ways to check out a property is Trip Advisor because their rating system is based on actual experiences by hotel guests. Other rating systems sometimes have a vested interest in ranking certain properties higher than reality. One problem with all of the available discount sites such as Hotwire, Priceline, etc. are the huge price differences between each hotel guest. The price you pay on a hotel room will definitely influence your ranking. If I pay $300 per night for a room my perspective will be different than if I only pay $300 for the week. So even on Trip Advisor it will seem like some people will have higher or lower expectations. Another flaw is that sometimes ratings might be different if there is a recent renovation. On my list of things I needed in a hotel was pool, high ratings and free breakfast. I figure if all other things are equal and one place offers breakfast I will pick that place. Since we are going to eat in the morning anyway, if we can get it included in the price of the room that’s added value. For 3 people that saved at least $8 per day if we just went to McDonalds. I then evaluated all of the hotels that met our needs. After that I checked out which one had the lowest price. After narrowing them down is when the fun begins. I did not pick the cheapest hotel on my list of acceptable hotels because I estimate value differently than lowest dollar amount. I like to get the most bang for my buck. I finally decided on a Country Inn and Suites – Calypso Cay, the pictures online made it look like a five star destination resort. I searched around and found the room for $55 per night through EasyClickTravel.com. When you find a great price online there are often ways to make the price better. I found the discounted price of $55 per night online, but when I went to countryinns.com I found that the same room was going for $75 per night. However, I saw on their site that they guarantee that booking through them will get you the lowest price or else they will match it then discount the lower rate 25%! I called the hotel and let them know that I had found the lower rate and they told me that I had to book through them first and it would be adjusted. Much like mail-in rebates I am skeptical of offers like this, but I believe the best protection is backing up any claim. So I took multiple screenshots of the discounted rate through every step. I then booked the room and then immediately put in the price match request. The first time I sent over a basic email stating that I had found the lower price and been told it would be matched. I received an email saying, “Unfortunately we are unable to process your request”. I then sent over another email with the direct link to the page and about 10 screenshots. I got an email back saying “We have confirmed your lower price and have beat it by 25% your new price will be $39.90 per night”. That was about as easy as possible. Took just a bit of time and minimal negotiation. Not only is booking with the hotel superior because they beat the price, but I was also able to get 6,600 Club Carlson Gold Points. I still have not used them, but if I get the Club Carlson Visa card, which currently offers an 85,000 point bonus, These points might be nice. If I were booking this hotel right now doing the same method I would save even more money. Using Cashback portals is so easy and can be quite lucrative especially when used in conjunction with a cashback credit card. First you would click through TopCashBack then type in Country Inn and Suites, then simply click through there and get 5% cashback on the booked rate of $526.50 so I would have gotten $26 into my TopCashBack account. Even if I did not get the extra cashback, it would be worth it. I also booked with a Discover Card which had travel as a 5% cashback category so I saved another $26 in Cashback. Basically those two cashback amounts paid for at least one night. It is possible that they would catch on that the cashback was calculated using the higher amount, but either way it’s a nice bonus. Priceline famously has a “Name Your Own Price” option which can be very good or very bad. I have had both experiences and it goes back to the rating systems I spoke about earlier. In my experience it appears that Priceline inflates some of the substandard hotel ratings in order to offer a really low price on a hotel. If you take a bit of time it’s sometimes possible to figure out which hotel is being offered by either Priceline or Hotwire. You can also go to BetterBidding.com and get some help on how to purchase a hotel. There are some very lucrative hotel sign up bonuses that can really help in paying for your trip. You can get a credit card such as the Chase Sapphire Preferred which gives a 40,000 point signing bonus. Then use the $400 as a statement credit to cover your travel. You could also sign up for different hotel reward cards. For instance, if you plan on staying at a Starwood hotel you can sign up for a SPG card which gives 25,000 bonus points. A husband and wife could both apply for the card and have 50,000 points by simply hitting the minimum spend amounts. Take your time when booking a hotel and make your decision based on things important to you. Keep looking for deals and remember that many hotel chains offer to beat a price offered by an online booking agency. Take advantage of reward programs, reward credit cards and shopping portals to add more discount to your prices.